Well hello everyone! I hope that you are having a wonderful February! 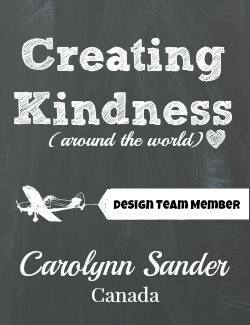 If you are new here, my name is Carolynn Sander. I am a Canadian Stampin' Up! Independent Demonstrator from Calgary, Alberta. I am so happy to have you here with me today! If you have been hopping along, you most likely arrived here via the wonderful Eimear Carvill! Wasn't her project today fabulous? I would have to say so! If you want to capture all of the simply stunning creations that are part of today's blog hop, make sure to click on the next button at the end of this post! The theme for today's hop is "Simple Stamping". 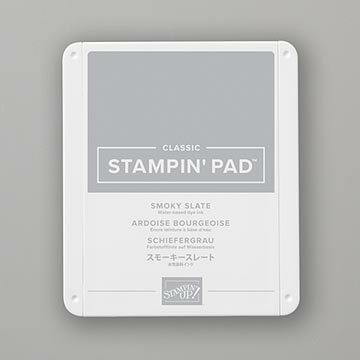 This is a topic that can actually be quite tricky for the seasoned stamper. 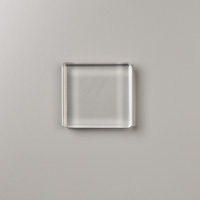 It was definitely a good challenge for me to take on, as sometimes simple can actually be quite stunning. Don't yah think? 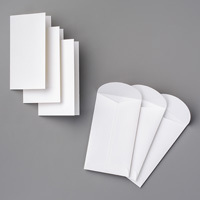 Have a peek at my "Simple" set of note cards below. 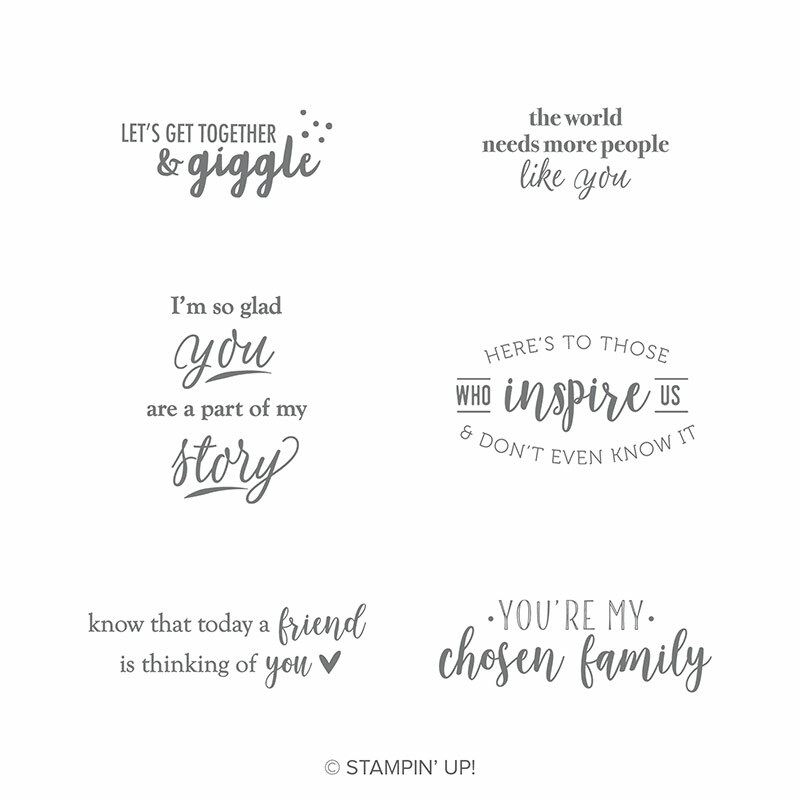 Are you in love with the Stampin' Up! Happy Tails Photopolymer Bundle? Well I am! 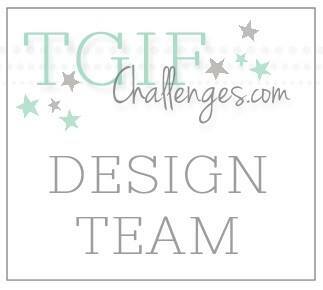 I decided to cheat a little bit today, and I paired this bundle with the Stampin' Up! Part of My Story Sale-A-Bration (SAB) Stamp Set. I figure it's not really cheating because by the time you purchase the Stampin' Up! 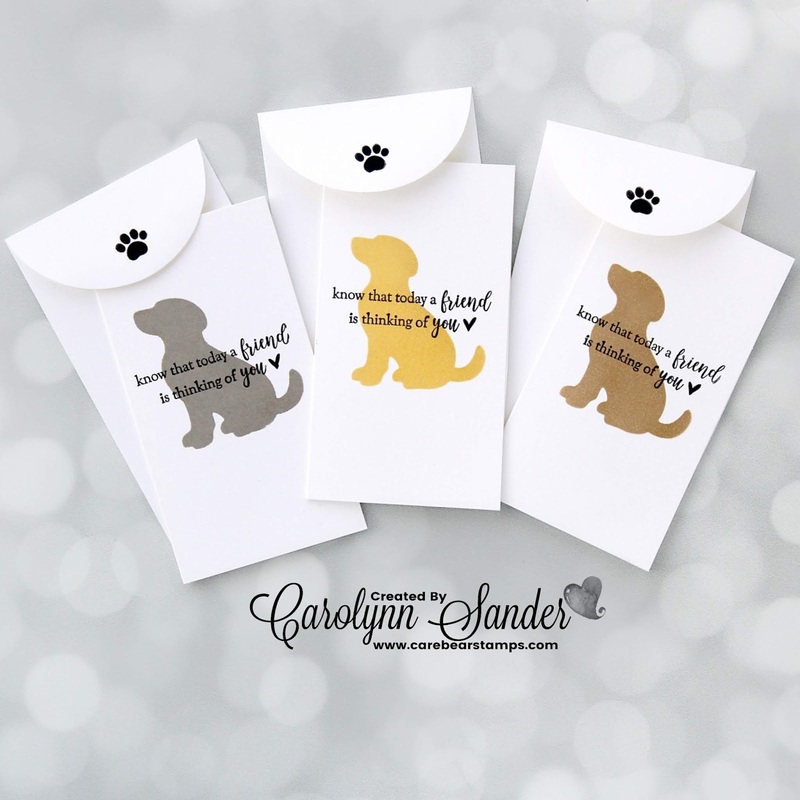 Happy Tails Photopolymer Bundle, as well as the Stampin' Up! 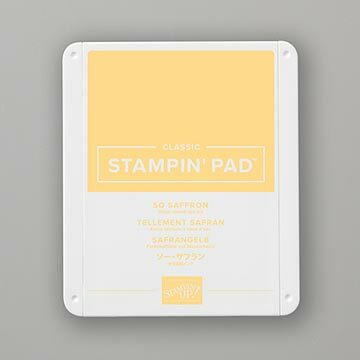 Whisper White Narrow Note Cards & Envelopes, plus an Ink (or two), you are pretty much earning the Part of My Story Stamp Set for free! 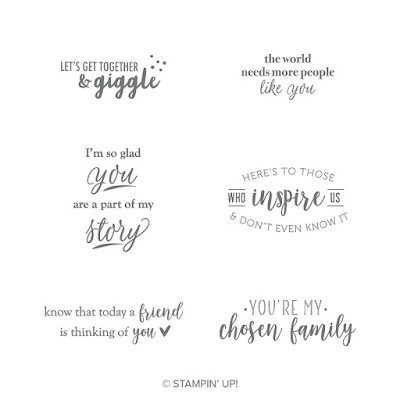 Check out the rest of the sentiments that are part of this Sale-A-Bration stamp set in the image below! If you noticed I actually sponged the wee puppies that you see on today's note cards using the negative of my punched out pooch as a mask. I am bias, and of course I love the "Golden" puppy the most. I actually only see a Golden Retriever pup when I look at this punch. Saying that, I do think that when this little doggy is inked up in different neutrals he/she can reflect many breeds that are near and dear to our hearts. These cards can be used as notes to send to your loved ones whom may have lost their furry friends, or they can be sent just to say you care. Either way... aren't they adorable? 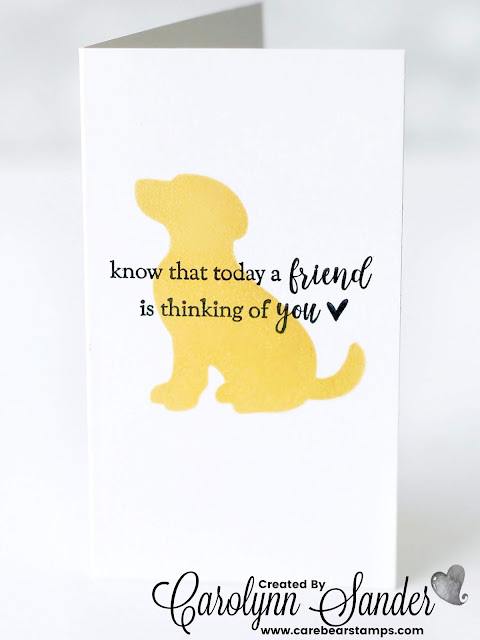 Well I hope that you have enjoyed today's set of cards, AKA one of my first modern day "Simple Stamping" project posts! For a full list of supplies used to create today's cards make sure to scroll down to the end of this post. Now to check out the rest of today's blog hop! 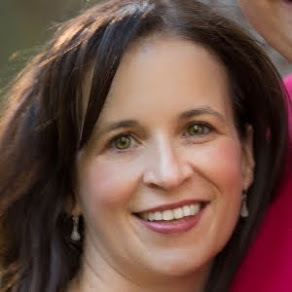 Up next is Tanya Rees! I am sure you will love what she has to share with us today! Click on the next button below so that you don't miss out! If you are in Canada, and you wish to purchase Stampin' Up! supplies, you can click on the shop button below, and you will be taken to my online Stampin' Up! shop. It's open 24/7 for your stamping and shopping convenience! As well, feel free to leave me a comment below! I am always oh so happy to read them! adorable puppies!! I love the paw prints on the envelopes. That sentiment goes so well with the dogs images. My favourite is the golden one too but if there was a black version... oooh, I don't know which one I'd chose. 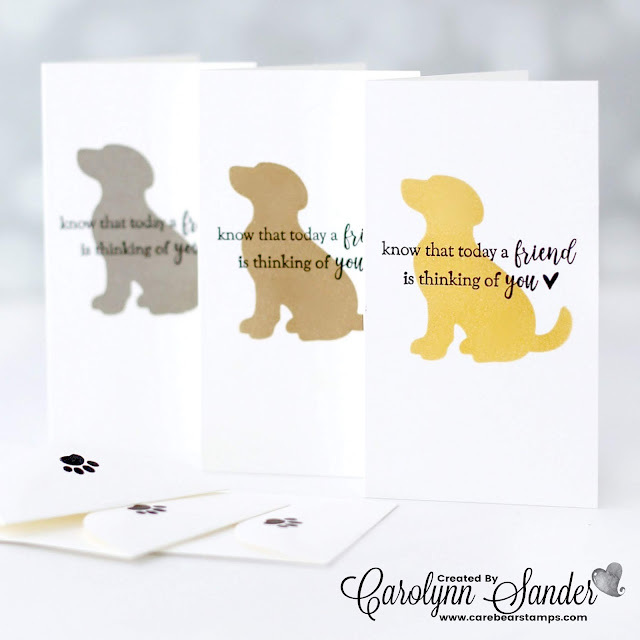 These notecards are perfect, and I love that the puppies are sponged with a punch out. So simple but they are wow cards. These are super cards, I think this is my favourite card I've seen using this set and so simple! Love the sentiments in the Part of My Story set, definitely a must have! Cute cards!